As firefighters continue to work to keep the San Diego County wildfires at bay, the focus is now turning to how they started in the first place. Eight of the blazes popped up between late morning and sundown on Wednesday, May 14, raising suspicion that some had been sparked intentionally. On Friday, 57-year-old Alberto Serrato pleaded not guilty to an arson charge in connection with one of the smaller fires, the 105-acre River Fire in Oceanside that is now fully contained. Tanya Sierra, a spokeswoman for the San Diego County District Attorney's office, said witnesses saw Serrato adding dead brush onto smoldering bushes. He has not been connected to any other fire, Sierra said. Oceanside Police Lt. Sean Marshand said Serrato is believed to have added fuel to the fire but not to have started it. "Unfortunately, we don't have the guy that we really want," Marshand said. What's Next for Fire Investigators? After nearly a week of devastating wildfires in San Diego County, investigators are now trying to determine what sparked those blazes. NBC 7's Diana Guevara reports on the latest surrounding the fire investigation. 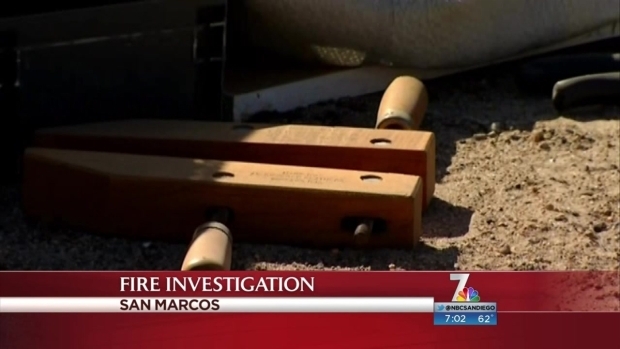 On Thursday, police in Escondido arrested 19-year-old Isaiah Silva and a 17-year-old juvenile on suspicion of attempted arson in connection with two small fires that were extinguished within minutes. 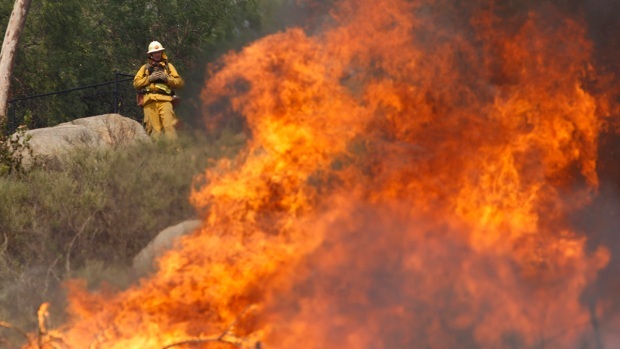 Police found no evidence linking the suspects to the 10 biggest wildfires. 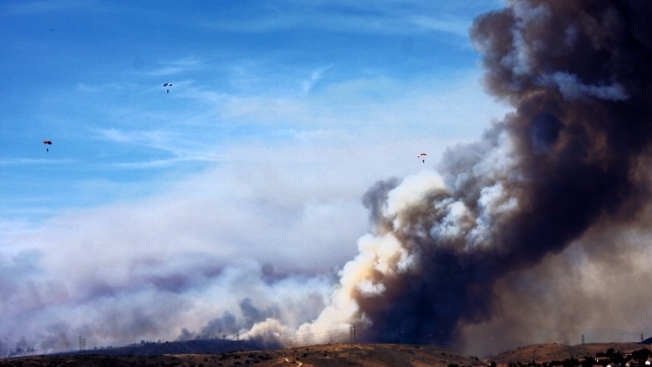 So far, there is no word on what caused the two most destructive fires—the Poinsettia Fire in Carlsbad (now called the San Diego Complex) and the Cocos Fire in San Marcos. "Do people have suspicions? Yes,"said Carlsbad Police Capt. Neil Gallucci. "But can we confirm them? The answer is no." "Our investigation might be over quickly for some of these fires — say, if we find a piece of metal nearby from a catalytic converter that back-fired," Sheriff Bill Gore said Thursday. "But others might not be so easy to determine. We'll be talking to people in the areas to see if they saw anything to see if arson might have had a role." County Supervisor Bill Horn, who represents many of the communities where the fires burned, shared his speculation about arson at a news conference Wednesday. "I question whether or not six fires haven’t been set by somebody – that’s just my thought, but I’ve never seen anything like this in 20 years, and I’ve had one or two fires but never anything like this," he said. However, Horn soon added that his speculation was just that. "I have no evidence," he said Wednesday. "I’ve been on this fire all day, I’ve been in Fallbrook and I’ve been in San Marcos, so that is the extent. I’m just telling you what I’m thinking." Officials will be investigating all possibilities, including arson, and interviewing residents as they piece together what happened. Fire Capt. Anthony Waters told NBC 7 on Sunday. The Carlsbad Police Department has established a tip line for the Poinsettia Fire. Anyone who may have seen or knows of any suspicious activity is asked to call 760-602-7599 or email PoinsettiaFire@carlsbadca.gov. The city of San Marcos is asking residents to email their fire photos, specially those taken within the first hour, to cityhall@sanmarcos.net. People are asked to include where, what direction and what time of day the photos were taken. Brandon Gunn, 29, was arrested for allegedly trying to loot evacuated homes in the Cocos Fire, but no arson arrests have been made in that fire. Meantime, a man’s body was discovered in the ashes of a known homeless encampment near Ambrosia and Calliandra in Carlsbad. The county medical examiner has not released how he died. Fire investigators said the Bernardo Fire, the first major fire in the series of blazes, started by accident at a construction site. The causes of all the other fires remain under investigation. The San Diego County wildfires burned at least eight homes and an 18-unit condominium complex, emptied neighborhoods and spread fields of flame, smoke and ash that dirtied the air in neighboring Orange County and as far north as Los Angeles County.